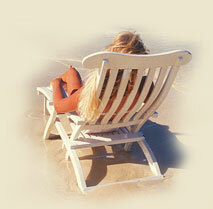 Capes Hotel - Enjoy a Virginia Beach Vacation Hotel. Your Virginia Beach oceanfront room is waiting for you at The Capes Hotel. Our family-friendly Virginia Beach hotel is located on the boardwalk and within walking distance of shops, restaurants, and many local attractions. Breathtaking views of the Atlantic Ocean and our warm and friendly staff will help make your Virginia Beach vacation a memorable one. Watch the world go by while enjoying breakfast or lunch on our oceanfront patio at the Hidden Pearl Café. Later, take in the view from your private balcony or relax in our inviting indoor pool. You will be delighted with The Capes Hotel’s excellent value and wide selection of accommodation options. No matter what your tastes, you are sure to enjoy the perfect Virginia Beach vacation at The Capes.